Description: Canada lynx are larger than bobcats, with a grayer coat, larger black ear-tufts, shorter tail, longer “sideburns” or “ruffs” and have hind legs that are longer than their front legs, raising their rump higher than their shoulders. Adult Canada lynx can weigh up to 17kg (37lbs) but average less than that, with females smaller than males. 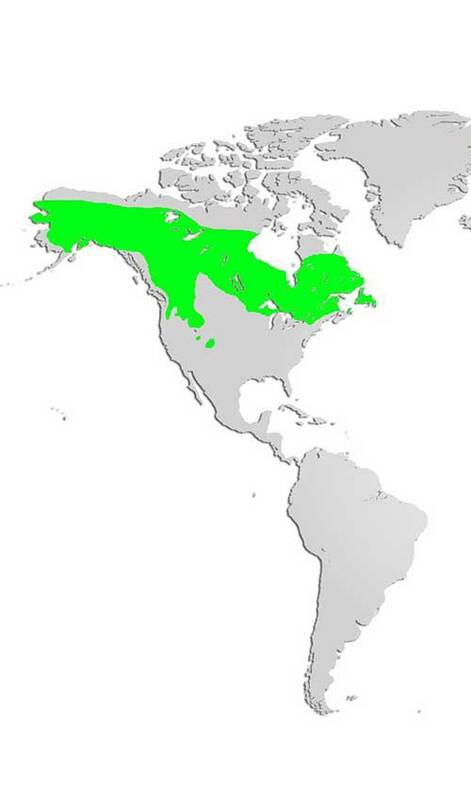 Distribution and Habitat: Canada lynx inhabit boreal forests of North America where snowshoe hare can be found. Although there are no lynx in mainland Nova Scotia, there are two documented populations in Cape Breton. The Canada lynx is listed as endangered on the Nova Scotia Endangered Species Act: Legally Listed Species. Diet: Canada lynx are species-specific carnivores, choosing to prey upon snowshoe hares for the majority of their diet. Such is their dependence on snowshoe hare that the Canada lynx populations fluctuate with the 10 year population cycle of the hare. Canada lynx will eat animals other than snowshoe hare, and even carrion, if necessary to survive. Life Cycle: Like other members of the cat family, Canada lynx are not monogamous and do not mate for life. Breeding season occurs in February/March and a litter of about 4 kittens is born 60-65 days later. The young are raised solely by the female, remaining with their mother until the beginning of breeding season the following year. 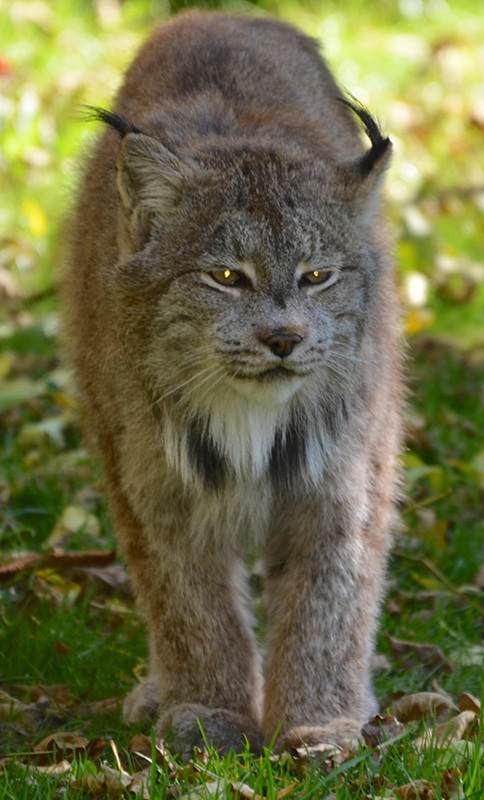 Adaptations: Canada lynx have large, broad feet that enable them to walk on top of the snow. Although they can only run fast for very short distances, their long back legs allow them to leap long distances to ambush their prey. Did you know? Canada lynx are rarely seen, even by experienced hunters. They are very shy and secretive and rarely go out in the open farther than 100m (330ft) from tree cover. Report your Nova Scotia Lynx sightings 1 866 272 3447 or sightings@speciesatrisk.ca.